If you are following me on Instagram, you would have probably seen me wearing a panda suit during the Tony Moly Panda's Dream Event. I am super happy kasya pa ako sa suit hahaha I was so thrilled to invited at the Tony Moly Launch for Panda's Dream Collection. I have not tried new products from this brand for some time now. We were given press kits which included some of the products from the Panda's Dream Collection. For this blog post, I will be focusing on two products that I am currently using. Tony Moly just joined the highlighter and contour stick bandwagon. 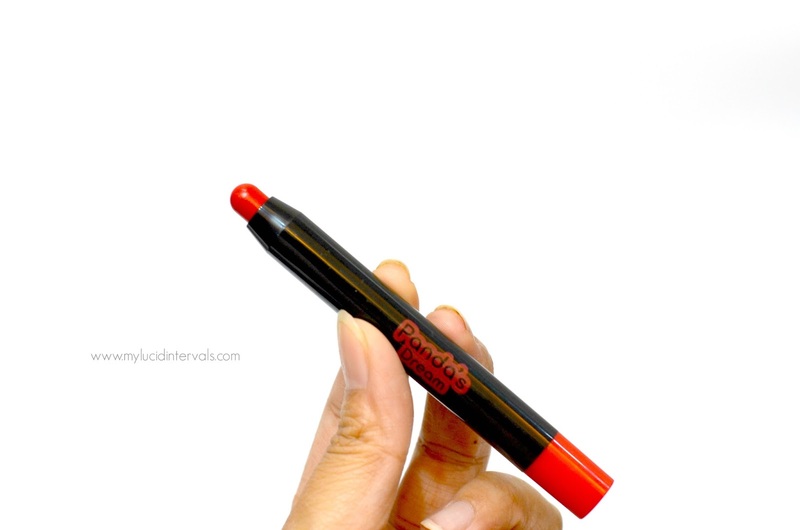 This is the Panda's Dream Contour stick which retails for Php 578. It comes in three shades 01 for highlighting, 02 for concealing and 03 for contouring. I got shades #1 and #3. 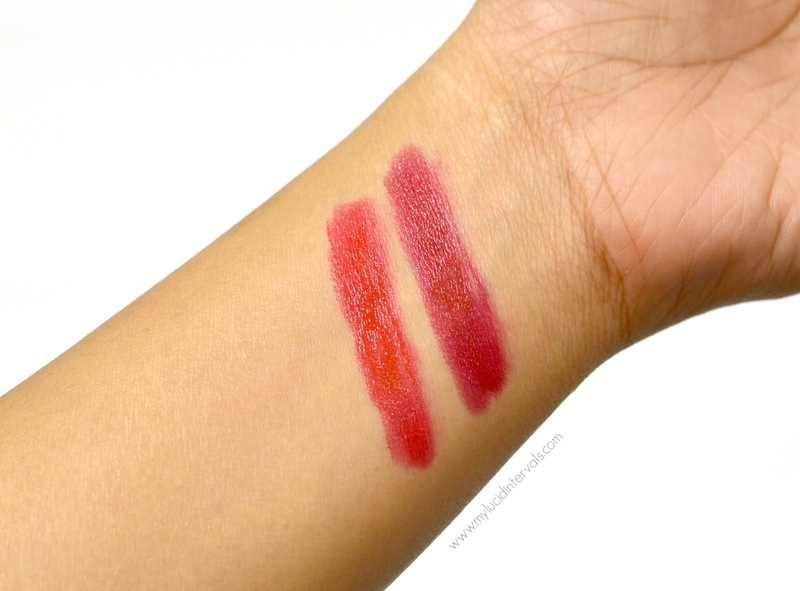 These sticks have a very creamy texture and blends very nicely on the skin. It does not tug nor appears streaky when applied. I love how it blends smoothly and seamlessly on clean skin and even on top of powdered skin. The shades of these sticks may bee to light for Filipinas with darker skintone. No. 1 is a light almost whitish beige on my NC30 skin. This is very light in coverage and works as a great highlighter. For the undereyes, it works well with my other cream and liquid concealers to highlight my undereyes. This is great for highlighting the nose bridge and as well as the brow bone to make brows look appear sleek and clean. No. 3 looks a shade darker than my skin tone and I was really afraid that it would not as a contour stick for me. On the photo below, take note that I used a cushion foundation as a base that is why the contour stick showed up on my skin. This contour stick has a great neutral tone and looks really natural when blended. No.3 seems to have a heavier coverage as compared to No. 1. For the contour stick, I love using it as a base for my powder contour and it makes the staying power of my contour and bronzer last longer. I also like using it on top of my finished base (liquid base plus powder) to make the shade appear deeper on my skin tone. I mix both No. 1 and No.2 to create a perfect concealer shade that is suitable for my skin tone. The second product that I am currently using from this collection is their Lip Crayon. I did not hesitate opening these lip crayons despite having loads of lipstick in my stash because I was looking for a glossy balm/stain that is long lasting on the lips for everyday wear. 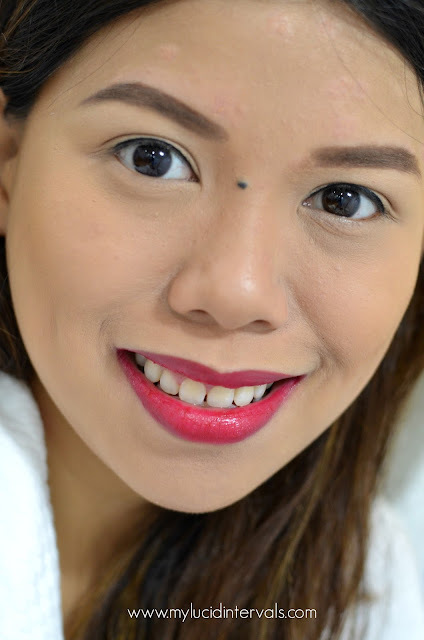 True enough, this lip crayons from Tony Moly did not let me down. This has 5 shades to choose from : 1 Hey Orange, 2 Heart Pink, 3 Pink Lady, 4 Red Berry, 5 True Red. This lip crayon retails for Php548. I got the shade NO. 4 and No.5 On the tube, they look so similar but both shades have different undertones. This lip crayon has subtle glossy finish. It is very pigmented and I can use it even without any lip liner. This does not emphasize my dry patches and fine lines. It goes on sheer with first swipe but the color is very buildable to almost a glossy lipstick finish. I can also mattify this lip color to make it appear like tint on my lips by spreading the product it with the use of my fingers. It is long lasting and does not dry up my lips. 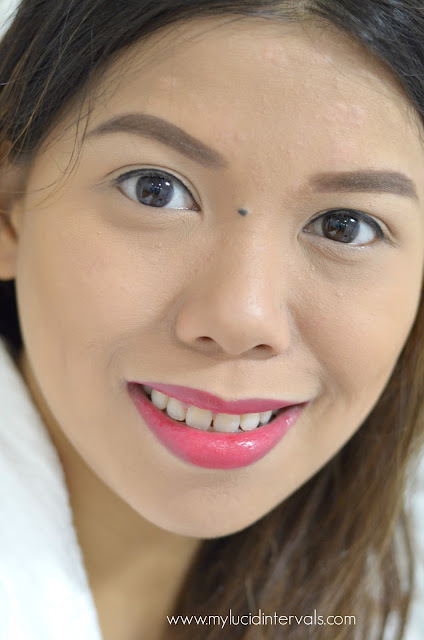 I find this lip crayon a bit hydrating and they are very comfortable to wear despite its glossy finish. It can lasts 3-4 hrs on me sans eating. I really like these products from the newest collection of Tony Moly. Aside from being extra cute because of the Panda packaging, these products worked very well on me.I love particularly love teh contour stick as a cream contour base for my powder. Have you heard about Tony Moly Panda's Dream Collection? Does their lip crayon can be mixed and matched? I'm thinking of having this for ombre lips and does it stays long? I love this collection, love the panda packaging... the contour stick is a must try and the lip crayons also! I will surely get these for myself! how much was the contour stick?